ATLANTA (March 6, 2018) — Incident IQ™, a leading provider of K-12 technology help desk solutions, announces the release of a new feature for the company’s Incident IQ Technology Support Platform that seamlessly syncs device information from the Google Admin console. The Google Admin console feature for Incident IQ powers innovations for technology support teams in K-12 school districts that standardize on Google Chromebooks and use Incident IQ to manage support requests for all of the hardware, software, and systems schools depend on today. “Incident IQ’s Google Admin console integration empowers front-line support personnel by injecting relevant help tickets with immediate, up-to-date information about related Chrome devices, including status, location, and more – within Incident IQ – saving time for support teams and district system administrators,” said R.T. Collins, Vice President and General Manager for Incident IQ. “In addition, student device deployment which occurs at the beginning of a school term is revolutionized by the “Instant Assignment” feature for Chromebooks. 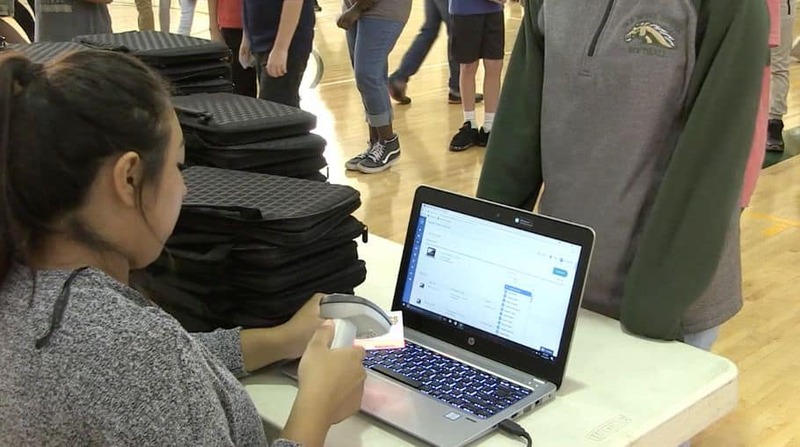 With the Google Admin integration, Incident IQ now instantly assigns a specific, serial-numbered Chromebook to a student user upon device distribution, ensuring accountability for the device and shrinking the time needed for school-wide rollouts from days down to a matter of hours, and without incurring any additional expense for manual data capture,” continued Collins.